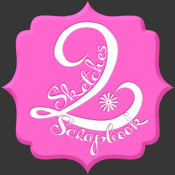 Sketches2Scrapbook Winter edition is now available. Check it out! Sketches2Scrapbook is a Scrapbooking Sketch application that will allow you to think creatively on the go with over 100 unique sketches and layouts to keep you inspired. Most Scrapbookers are people with busy lives – always on the go and trying to fit scrapbooking in with everything else. When they do get to scrapbook, they bring their phone with them... to the crops, at the store, to their scrapbooking space. Once you have your sketch selected, you can flip to see a sample layout made by some awesome Scrapbookers from around the world. Each of the beautiful layouts comes with a supply list of all the products they used to create the sample layout. This App will help you to find the perfect sketch for your photos saving you both time and tote space – no need for magazines and books taking up valuable paper or embellishment space, no need to sit in front of your computer or print our online sketches to take with you. And when you are out at the store, you can use the app to pre-plan your layouts and even use the supplies list to remake the layouts with your own photos. With 104 sketches, you have enough to make 2 layouts every week for a year plus the 12 free sketches for 1 extra layout each month (the Lite version comes built into the full version as extra sketches) – that’s a lot of inspiration especially with the sample layouts added as they are inspiring in their own right. Sketches2Scrapbook is a way to give you more time and space to scrapbook by keeping all the sketches you need at your fingertips.